Are you looking for newspaper & magazine WordPress theme? If yes then you are in the right place. I am going to show you some of the best & market leading WordPress newspaper themes that will lets you create most modern & eye-catchy magazine website. If you are planning to hire a developer for build your magazine or newspaper website then stop. First look at these themes below I am goona to show you. Building a website at these days is not so difficult. You don’t need to have any coding knowledge. Lots of pre-made awesome & advance themes are available which through you will be able to create your magazine site with ease. One of the best solution for creating a newspaper site is WordPress. Why? Well, let me tell you something about this awesome CMS (Content Management System). WordPress is the most popular & well established CMS that allows users to manage their website without having any coding knowledge. Anyone can handle WordPress powered sites with its very easy to use admin interface. Approximately 22% websites on the web are running on this web publishing software. It was created especially for non-coder in mind. Another benefit of using WordPress is that regular basis free updates by its developers. If you build a custom website then it will need further updates according to language version which will cost you lot. If you have big budget then its fine otherwise building magazine site on WordPress platform will be the best choice. Whether you gonna to write on your magazine by only yourself or with a team doesn’t fact. WordPress lets you create multi-author blog with its fantastic easy to use control panel. You can create contributors, editors & as well as other types of accounts you need. See WordPress codex for getting more knowledge about how the user roles are work. Thousands of plugins including free & premium are available to integrate various types of features. So you don’t need to hire any developer for implementing new features into your website. If you have products or services for selling then you are most welcome with WordPress. A dedicated WordPress plugin is available for using that purpose which is WooCommerce. You will be able to integrate professional online store within your newspaper website with that plugin & can manage your items very easily. Not only that, lots more things are also available which is not possible to describe here. How & why to learn WordPress if you don’t know? If you don’t know how to manage WordPress site I mean about the backend then just no need to worry about it. Because Thousands of websites are providing quality & easy to understand WordPress tutorials, even YouTube can be your best friend for learning WordPress. This platform has thousands of video tutorials for educating yourself. It’s a better way instead of hiring a developer for managing your site. Because these way you can save your lots of time, money & as well as full control over the project. What kind of niche you gonna to work with doesn’t matter. You will be able to create a magazine website in any niche you want with these awesome news themes. All of the themes below built with powerful & advance features that can perfectly full fill your all requirements. The theme creators especially developed these themes news magazine in mind. Most of the theme comes with drag & drop homepage builder which lets you build your very own homepage layouts with lot of pre-made content blocks. Free & premium sliders are included for creating awesome slideshows which you can used to display your featured contents in modern & attractive way such as revolution slider ($33), flex slider (free) etc. Lots of most usable custom widgets included such as recent posts/popular posts/recent comments, tabbed widget, add management slots & lots more. Not only that, most of the e-commerce widgets are available such as price filter, top rated products, best selling products etc. These WordPress news themes below also have multiple style blog listing layouts, has dynamic contact page along with Google map, advance typography features & much more. Advance theme option panel were integrated with each theme for managing all the theme options. You can change theme colors, typography, layouts, logo/favicon, enable/disable various features & lots more. Some other features are: multiple style pre-made homepage layouts, multiple header/footer layouts, left/right sidebars, unlimited color schemes, retina ready icon fonts, advance typography option & much more. All the news WP themes below are fully responsive & have retina ready display which means that your website will look fantastically optimized in any kind of devices such as Android phones, Windows phone, iPhones, iPad, Tablet, Laptop & as well as Desktop. Not let’s talk more, let’s see the newspaper WordPress themes. Super easy-to-use and no coding knowledge required are these words that best describe INK which is a magazine and personal blog WordPress Theme with simple and elegant style for those who want to share their stories, moments, trips, fashion, food, photos collection or lifestyle. With multi-layouts, exquisite design combined with light pastel color and adequate contrast, INK from Lunartheme will make the blog both eye-catching and easily readable. Especially, INK is a wide range of pre-built templates, so it is super light, easy to set-up and use. INK has got 14 unique, modern homepages with 3 different site demos, more 5 stunning header styles, a lot of beautiful featured sliders to show the most prominent contents and an abundance of post layouts to showcase the contents. Besides, INK features both sidebar and box layouts, numerous custom widgets and social media, a full-width Instagram footer area and several sample pages for users to use without re-design. Make sure that INK will seduce your readers at the first sight. NanoMag is amazingly designed colorful Magazine WordPress theme that will lets you build an eye-catchy magazine & newspaper website. This theme integrated with lots of advance & very useful features which can make your blogging life easier. NanoMag is fully compatible with the most popular plugins such as WooCommerce & bbPress. By using WooCommerce you can build your own online shop where you can sell anything you want directly from your website & can getting paid via multiple payment getaways such as credit cards, paypal & bank wire. bbPress lets you build a forum system into your magazine site where your users & customers can ask questions or can discuss about your niche which definitely can increase your authority. Over 6 different homepage layouts pre-packed with this awesome magazine theme. 14+ content block available for using into post/pages. The drag & drop component lets you easily implement those features with ease. A page template builder also available to create your very own layouts. 6 different unique header styles included which through you can present your news site uniquely. Amazingly integrated 4 different types of mega menu included which lets you display your contents amazingly. NanoMag supports Google rich snippets & this can increase your CTR in SERP result. NanoMag news theme has 2 different version such as box & wide so you can use one from those that suits you best. Powerful & easy to use theme option panel added for managing all the theme settings. You will have there home page builder with pre-made content blocks, can set your own color combination from unlimited color feature, can choose your own typography from Google fonts & lots more. You can create unlimited sidebars for putting unique contents in each post/page. Build-in review system added for publishing product or services reviews fantastically. Ajax load more functionality lets your users feel smoothness when they need to see more contents. Lots of useful custom widgets are included such as facebook like box, flickr, popular/recent/comments tabs, add slot, slider post, subscriber box, social icons & lots more. You don’t need to install separately these kind of plugins which is definitely good integration from theme author. Because these kind of plugins can slow down your website which are not happening with your website if you are gonna to use NanoMag WordPress blog theme. Some shortcode elements available for implementing image slider, videos from youtube & vimeo, audio, tab, blockquote etc. Marroco is a stylish WordPress theme for Magazine & newspaper websites. It comes with custom drag & drop page builder which through you can create your homepage layouts with some clicks. It has very clean & minimalistic design. The responsive technology will be responsible for the automatic adaption in devices. The parallax background content area easily attract your visitor’s eye. Masonry style blog layout included which is a latest tread for websites at these days. 3 different & uniquely designed header styles available to choose from. You will be able to configure not only sticky menu also Marroco has included mega menu where you can display your latest posts beautifully with slider. Boxed & full-width version available, so choose what suits you best. Built-in review system integrated it means that if you need to publish reviews ever then you can do that very professionally with the built-in review feature. 300+ Google web fonts included for choose your typography. With Marroco newspaper WP theme you gonna get advance theme option panel where you not only can choose typotgraphy, layouts etc also you will be able to enable & disable various functionalities such as image lazy loader, hover effects, smooth scroll etc. WooCommerce is fully compatible so you can sell anything you want directly from your website with its very easy to use functionality. If you are looking for a beautiful WordPress theme for Newspaper website then SaladMag is here for you. It has clean, modern & eye-catchy design. Comes with 4 different homepage layouts. SaladMag integrated with drag & drop content builder which is a convenient way to implement various content blocks into web pages with ease. This theme included font awesome beautifully. It’s a colorful news magazine theme. Unlimited color schemes available, fully RTL supported, home page builder, unlimited sidebar etc included. Mega menu included perfectly where you will be able to display various contents in various ways such as tabs, dropdown, columns, slider & much more. Built-in review system you gonna get with this theme which you can used to publish reviews professionally. Tons of shortcodes available such as buttons, columns, tabs, accordion, toggle & much more. You can choose box or full-width layout. Some useful custom widgets available which lets you implement important contents into sidebar such as social plugins, tabbed widgets, recent posts, popular posts, video, add management widgets etc. The theme option panel integrated with lots of customization option which you can manage very easily without touching any single line of codes. Cool is a modern & fantastically designed WordPress theme for news magazine blogs. It’s responsive layouts will adapted automatically in any devices. Cool comes with multiple style drag & drop section which you can used to build unique homepage. It’s bold style designed can catch your visitors attention easily. 4 Different types of layouts available to choose from. Cool news theme is completely search engine friendly. It has blazing fast speed. If you are an adsense publisher then Cool is perfectly suitable for you because this theme is fully adsense ready. Cool built with html5 & css3 technology. Not only that, tons of unique & beautiful jquery added for implementing modern trends. It has WP mega menu integration so you can create beautiful & modern looking mega menu easily. Notification bar & subscriber pro plugin also compatible which through you can easily collection emails & notified about any especial offers. Do you want to write reviews on products or something else? If yes then no need to find-out a review plugin for that. Cool packed with WP review pro plugin supported which through you can implement professional looking star ratings & Google rich snippets. For mobile visitors an off-canvas menu integrated perfectly, so your menus will not break in small devices & will show-up in modern way. Font-awesome & Google fonts included for better typography. The powerful admin panel lets you manage all the theme options with ease. Tons on useful shortcode elements included for putting various contents such as buttons, tabs, notification, columns & much more. Unlimited background & theme colors available to choose from. All I can say, if you are looking for best WordPress magazine themes then Cool is here for you to provide each & every single options that will help you to build your desire magazine blog. Interactive is another excellent magazine style WordPress theme which comes with tons of advance most useful features. By using these feature you will be able to create a stunning magazine website. It looks very eye-catchy & has 3 column layouts. Unlimited color options available which through you can be set your desire colors. Smart off-canvas menu added for mobile visitors & yes it’s fully responsive with retina ready display. This theme coded with care, has blazing fast speed which can helps you to get SERP raking easily because Google loves spreedy sites. Interactive comes with advance & easy to use theme option panel. From this panel you can change theme typography, layouts, colors & lots more without having any coding knowledge. 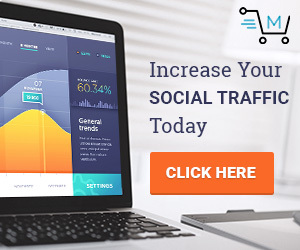 All the major social platform included so you don’t need to install any other social plugin which is another plus point for boosting your site speed. Beautifully designed author box included so you can track all of your contributors & also your users can follow their favorite writer. One click demo installation & one click update functionality available, it means that you can immediately start your project by installing the xml demo data. For further theme updates you don’t need to upload theme files by FTP or via dashboard. The one-click update process do the all things for you which is very handy way. Huge shortcodes included for putting contents such a convenient way. The unlimited color feature lets you choose your own color combination for presenting your magazine news site uniquely. If you are from Arabic countries then you might need RTL support which is also included perfectly. Some other great features this theme has included for your magazine website such as news ticker which through you can up-to-date your visitor’s & encourage then to read more of your contents. Beautifully designed mega menu plugin integrated which allows you to present your contents smartly with thumbnail images with star ratings. Featured blog posts section available for displaying your featured contents in some modern ways. Some custom widgets are available for using in the sidebar such as tabs with recent/pouplar/comments, subscriber form & lots more. Ajax loading available for smooth user experience. Smartly designed rating system integrated with this WordPress newspaper theme. Interactive is fully responsive so it doesn’t matter which devices your users are coming from. Your site will always looks perfect in any kind of devices. For magazine or news or any other niche blog sites NewsTimes is the perfect solution. It comes with pixel perfect design, built with html5 & css3. Unique content blocks & animation effects made this theme more powerful & modern. It has ultra-responsive design which will be responsible for automatic adaption in small devices. You can choose your own color combination with the unlimited color scheme features. You can be changed each & every single feature that NewsTimes comes with by using the theme option panel which was designed with user experience in mind. This will lets you manage all the options with hassle free & easily to use functionality. NewsTimes magazine theme comes with homepage layout manager which through you can build your own style homepage with the pre-made unique content blocks. A uniquely designed slider integrated with this theme for displaying featured contents. For mobile visitors an off-canvas menu integrated for better navigation. This theme coded smartly & that’s why it has blazing fast speed which can definitely increase your serp ranking. The built-in review system lets you write reviews on any niche you want fantastically. Some great custom widgets included for putting various types of contents in the sidebar such as facebook likebox, add slots etc. By using the one-click demo installation feature you can setup your website just like the demo without having any hassle & can easily replace your contents easily. Most usable contents were included as shortcodes such as columns, buttons, content block, toggle, tabs, divider, tooltip, buttons & much more. NewsTimes has infinite scroll & ajax load more features which looks very modern & also convenient ways to display more contents to your visitors. Magaziner is a theme that will be perfect suitable for newspaper, magazine & blogs. It has high regulation, no need to compromise for any kind of devices. It’s perfectly have responsive layouts & retina ready display. Magaziner has very flexible layouts such as left, right sidebars & each post/page can be designed differently. The entire theme uses font awesome icon fonts & will load only 1-3 images depending on layouts. So your site will be blazing fast. Related posts & post navs are integrated fantastically. All 10 post formats available for publishing various types of contents such as audio, video, quote, standard, aside, image, slider, gallery etc. Unlimited social links you can add in the header & footer. Over 479 icons included for that & you can set colors for each social icon if you need. Box & full-width layouts available. Magaziner included advance theme option so you can change each option without touching a line of codes. This news theme is fully multilingual, means you can turn your website in any language you want. Child theme added for further customization so you don’t lose any styles that you made by yourself after upgrading the theme. LoMadone is WordPress theme which is developed especially lifestyle bloggers, although it can be used for all kind of blogs. What does lifestyle bloggers mean? If you have a beautiful life & excellent knowledge that you want to spread the world about then LaMadone theme is for you. If you will be able to present your lifestyles such as travelling, photography, about your works & other things fantastically. This theme is fully responsive & has retina ready display. LaMadone fully integrated with WordPress live customizer where you have the ability to change each & every single part of this theme visually. It has 5 different home page variations, comes with multiple style blog & portfolio layouts, give you a dedicated contact page where the Google map can be displayed with dynamic contact form. It looks clean, fresh, minimalistic & beautiful. Lots of useful custom widgets, shortcodes elements, social integrations, carousel & home featured sliders are included which can you will be able to create a stunning personal magazine style blog. What kind of niche site you want to build. Lily is perfectly suitable for any kind of niche blog or magazine websites. It gives you tons of handy options for creating unique, clean & modern magazine or blog websites. Lily is included with some great & advance plugin which can make things easier. The plugins are: 1. Visual Composer ($33) – A drag & drop WordPress page builder plugin which helps you to create your pages on-fly in drag & drop experience. 2. 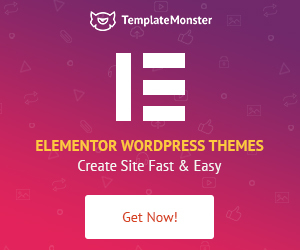 Templatera ($11) – A template manager add-on for the visual composer plugin which will add extra control over page creation. 3. Slider Revolution ($18) – A market leading slider plugin for WordPress which lets you create unlimited beautiful slideshows with tons of customization options. It means that you gonna get $57 dollar free extensions with $44 worthy theme. Lily has 4 different types of pre-made homepage layouts which through you will be able to present your articles in some modern ways such as Standard layouts, List layouts, Grid layouts & Masonry layouts. All the layouts have left sidebar, right sidebar & full-width template type integrations. By using this WordPress news theme you can build a clean & minimalistic magazine website, as well as any other niche site you want. Lots of news WordPress themes available to choose from but if you need a modern & fresh design WordPress theme for your next magazine, news or personal blog project then Lily will suits you perfectly. It comes with 600+ Google fonts, one click demo data installation feature, extended documentation, custom widgets, seo friendly code, various post formats such as quote/video/audio/gallery etc & lots more. This theme included all the theme option settings in the Live Customizer where you can see what’s going on while changing some things visually before going live. It built with bootstrap 3, integrated with font-awesome, completely multilingual means WPML compatible, sticky header & lots more. Fashery is a powerful magazine & newspaper style WordPress theme that comes with some most advance plugins integration which can make your site really powerful such as Visual composer which is $33 worth drag & drop page builder plugin, WooCommerce which will be responsible for creating online shop, bbPress – A forum plugin that allows you to create a discussion platform, BuddyPress – A social platform plugin. These plugins are well-known in the WordPress community. If you have long term vision then choosing Fashery will be a great pick. If have all of the weapon for building an authority magazine website. It has unlimited possibilities for creating page layouts. 8 most useful custom shortcodes included which you can use with the visual composer & can implement various contents in convenient way into posts/pages. The WordPress mega menu plugin integrated smartly so you can display not only your menu items beautifully also can put various contents with thumbnails. You don’t need to install any other social plugin for getting social signals. Because this theme has extension social platform integration system which through you will be able to place social buttons in 19+ different places into your website. Fashery has some other great features which I must mention for your information like 10+ custom page templates available, 80+ theme option settings, 4 different post formats such as audio, video, standard & image, 15+ custom widgets packed including slider plugins & much more. Aresivel is another minimalistic WordPress theme which is not only perfectly suitable for personal blogs also can be used for any other types of niche sites. It has 6 different blog layouts, has left, right & no sidebar templates. Not only that, unlimited color schemes available to choose from. Various post formats included for publishing various types of contents such as standard, links, video, audio, gallery, music, quote etc. In the live customizer you will find all the theme setting options which through you can be build your website with ease. Aresivel has responsive layouts & retina ready display. It means that your website will be adapted automatically in any kind of devices. Various types of custom widgets were included for implementing useful contents in the posts/pages/sidebars such as social feeds, mailchimp, contact info, banner, post listing with thumbnail & lots more. Some useful shortcode elements also available for putting most usable contents like buttons, tabs, accordions, tabs, alerts etc. Chapter is fantastically designed WordPress news & magazine style WordPress theme that has modern & attractive looks. It is integrated with multiple carousel sliders with a featured content slider. The font awesome icons used beautifully which will be responsible for eye-catchy looks. Chapter built with html5 & css3 technology. It has implement unique & smooth hover effects. Chapter comes with live customizer setting option where you can manage all the requirement theme options such as colors, layout selection, typography, slider options & much more. If you are from any kind of fashionable world & want to build a website for that then Chapter magazine theme will be best for you, although you can create any kind of niche related sites with this news theme. This theme gives you 4 fantastically pre-designed home page layouts for displaying your articles unique & attractively. All the layouts have left sidebar, right sidebar & no sidebar templates. So you can easily use one of the layout from them which you feel comfortable with. All the layouts comes with responsive design, has 24+ awesome custom widgets to display into posts, pages & sidebar. You will be able to create unlimited sidebars for uniquely present especial pages. User star rating system integrated, it means that your uses can rate your each article which definitely increase your authority. Chapter also included with beautiful typography, WPML compatible, easy to use theme option, fully seo optimized & unlimited color schemes. This is a very fashionable WordPress theme which is especially made for news, magazine & blog websites. It has beautiful & eye-catchy look. All the sidebar widgets were designed fantastically. Not only that, some custom widgets are pre-packed which are tabbed widgets for displaying pouplar/recent/comments/tags etc & this tabbed widget is integrated with Ajax functionality for better user experience. A related post widget also available for displaying related articles in the sidebar. All the major social platform included fantastically so you don’t need to install any other social plugin. NewsPaper has responsive design & retina ready display, has font-awesome & Google fonts integrated. You can display your partner’s logo in to top footer area nicely. Mega menu supported for showcasing menu items & contents with thumbnails beautifully. Some other useful features are: author bio, threaded comments, advertisement management, powerful admin panel, advance typography option, footer widgets, social widgets, wp subscriber pro integration, wp mega menu pro integration, premium rating system, off-canvas menu for smartphones & much more. Hickory is a magazine WordPress theme that will lets you create stunning magazine styles websites. It can be used for any kind of niches. Hickory allows you to create unique home page from its pre-designed 3 different custom homepage templates. Its responsive design will look optimized & beautiful in any kind of devices. Over 3 different header styles Hickory has integrated with. Hickory has 4 different post formats such as standard, video, gallery & review which through you will be able to create various types of posts easily. This theme has extension customization option which can you find in the theme option panel. Here you can change theme colors, fonts, layouts & much more. It’s an awesome WordPress theme which is perfectly suitable for magazine & newspaper websites. 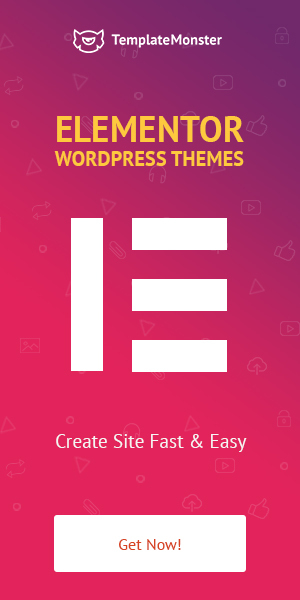 This theme is created by ElegantThemes which is a well-known premium WordPress theme & plugin provider. Nexus comes with complete responsive design, has powerfull & easy to use theme option panel which is made by Epanel framework. You will be able to manage all theme options easily from there. Tons of useful shortcodes are included such as various types of buttons, columns, pricing tables, image carousel slider, lightbox pop-up image, author bio, tabs & much more. Nexus comes with useful custom page templates such as advance search page, login page, gallery page, full-width page, sitemap page etc. This theme is completely Adsense ready, you can please your Adsense codes in various places into your web pages easily. You can paginate your posts by using the ajax load more feature. Its bold designed easily can attract your visitors attention. The fonts & color combination lets you present your magazine amazingly. Nexus comes with 5 different color schemes by default, although you will be able to change colors from the color setting option according to your requirements. Sahifa is the market leading & no#1 magazine & newspaper WordPress theme which has every feature that you will need into your next project. All layouts will adjust automatically in any devices because of its responsive technology. With 400+ options the theme admin panel built where you can change theme colors, layouts, fonts & much more. Sahifa is fully compatible with WPML multilingual plugin which lets you turn your website into any language you want. bbPress & BudyPress plugins are also compatible with Sahifa which lets you implement forum & social platform with ease. This theme have custom drag & drop homepage builder with various types of block elements. So you will be able to create your own style homepage with tons of advance & easy to use pre-made custom elements such as thumbnail video gallery with pop-up display, WooCommerce products carousel, multiple style large & small thumbnail block, scrolling block, image gallery block & much more. If you want to sell any kind of services or products directly through your website then you are welcome to do that. Sahifa completely compatible with the most popular e-commerce plugin WooCommerce which lets users to create professional online shop for selling products & services with ease. It has one-click demo installation feature it means that you can kick start your website immediately by installing the xml demo data. Sahifa has 3 different layout variations such as box, wide, framed etc. Mega menu system is a smart way to present various contents in some different way which definitely can increase user experience & Sahifa newspaper WordPress theme integrated with this feature. You can not only display your menu items amazingly also can show-up contents with thumbnail images with different types of layouts. 5 different types of homepage slider available to choose from like Grid slider, Flex slider & Elastic slider etc. Some other great features you may like to know about this awesome magazine theme which are Off-canvas menu system, post-views count, fly-check box, ajax live search, sticky sidebars, masonry layouts, 35+ custom widgets, unlimited sidebars, unlimited color schemes, 650+ Google fonts, customizing options for each posts/page template, 10+ custom page templates, 40+ most useful shortcode elements, Google adsense ready, RTL ready, fully seo optimized & much more. Some great plugin packed with this theme for taking your project to the next level such as rating system plugin with 2 different addon, content slider, Instagramy plugin, Ilightbox plugin, Weather widget, Theia sticky sidebar & lots more. HowTo is a perfect WordPress theme for blogs & magazine sites. It can be used for almost any kind of niches. HowTo comes with 3 different versions like default, viral & movie. This news WordPress theme has 2 different types of sliders where you can display your featured contents. It’s responsive & retina ready display will adapt in any devices. HowTo theme compatible with Schema which helps you to display Google rich snippets in the search result. Adsense ready widgets area lets you perfectly display your Adsense adds. This theme bundled with 590+ font-awesome icons & 630+ Google fonts. So you can change the typography of your website with your own choice easily. The advance theme option panel lets you easily manage all the options that you will need while developing your site without having any coding knowledge. No need to install any other social plugin because this newspaper theme already integrated with all major social networks such as Facebook, Twitter, Google+, LinkedIn, Pinterest etc. It also has off-canvas menu integration which is a smart & latest way to display menus at these days. Tons of shortcode elements available for using in posts, pages & sidebars. Mega menu is an important feature for every kind of niche magazine websites & HowTo is packed with this feature. So you no need to worry if you have lots of menu items to display. 10+ fantastic custom widgets are integrated which you can use to display most important part of your site in the sidebar. You will be able to create unlimited sidebars, unlimited color schemes available, unlimited background, ajax load more functionality is fully implemented for better & smooth pagination & lots more. SmartMag is clean, modern & flexible theme for magazine, newspaper & blogs. It looks clean, fresh & modern. SmartMag comes with multiple style block elements which you can used to create unique homepage layouts. It has different types of versions like dark, light, box & fullwidth. A drag & drop page builder component integrated for creating pages visually. The premium slider revolution added for creating amazing slideshows. SmartMag is compatible with all kind of smartphones such as iPhones, Android phones, windows phones, tablets, laptops & desktops as well. It doesn’t matter that which devices your users are coming from. You site will always look good. SmartMag included demo xml data content which through you can start your website just like the demo by one-click demo import functionality. A mega menu system available for creating beautiful navigation. This theme has built-in review system. You can use star, percentage or points to present your ratings smartly. Advance theme option panel available with tons of options for managing all kind of theme option settings such as typography, layouts, colors & much more. If you ever need to implement a discussion platform I mean forum where your users can discussion various topics related to your niche or your services then you are welcome to do that. Because SmartMag has bbPress integration with beautifully pre-designed layouts with the bbPress login/registration widget which you can place in the sidebar. Do you want to run your website in multi-language? Don’t worry then it’s completely compatible with WPML plugin which through you will be able to turn your website into any languages you want. The most popular e-commerce solution is WooCommerce which you can use with this magazine theme WordPress. If you have any services or products for selling then don’t need to implement separately this feature into your website because SmartMag gives you the ability to build an e-commerce platform into your website through the WooCommerce plugin. You can easily manage your products from dashboard easily. This is a beautifully designed simple & minimalist WordPress theme for news or blog websites. It has premium revolution slider integration which lets you create unique sliders for putting into posts/pages. It has included tesla framework for creating advance & easy to use theme option panel. There you will able to manage theme setting options smoothly. Different types of layouts included which through you can create eye-catchy pages. All the major social platform integrated with this theme so you don’t need to install any other social plugin. It’s a great thing because most of the social plugin will slow down your website. Huge useful shortcodes included for using various types of content blocks & elements. Blogojoy built with html5 & css3, has beautiful animations & effects which definitely able to attract your visitor’s attention. It’s fully cross browser compatible such as Mozilla, chrome, opera, IE & Safari. Lots of WordPress magazine themes are available but if you need a fashionable magazine style WordPress theme then Braxton is for you. It comes with beautiful multiple homepage layouts where your blog posts can be displayed uniquely. The drag & drop homepage builder extension lets you input various content types into your home page with ease. It has implemented unique hover & animation effects. Has sleek, modern & elegant look. For mobile & tablet this theme included a fly-out navigation system. A $22 worthy slideshow plugin packed with this theme which lets you dynamically implement slideshows into post/pages. Do have any products or services to sell? Do you ever need to implement a forum platform into your website? If yes then do not worry, Braxton is fully compatible with the most popular plugins WooCommerce & bbPress which lets you integrate those features smoothly. You are not only allowed to publish standard posts also can publish audio & video contents. Infinite scroll functionality has been smartly included it means that when your visitor’s goes down older posts will automatically come-up through Ajax. Braxton is fully responsive & has retina ready display. 8 different useful custom widgets are included, 4 different types of add units available for using in advertising purpose. Here is another awesome Magazine & news WordPress theme that can full-fill your all requirements. It comes with beautifully & professionally designed multiple layouts such as left sidebar, right sidebar etc. Some premium extensions included for making your website more powerful such as WP mega menu pro & WP subscribe pro. All the sidebar widgets were designed beautifully. Some useful custom widgets included such as tabbed widget, featured category widget etc. Ajax load more functionality has been integrated for getting more contents to view with ease. A beautifully designed newsticker scroller added for letting notified up-to-date contents which can increase your pageviews. Unlimited color schemes available to choose from. NewsOnline has advance theme option panel with tons of setting options where you will be able to manage theme options smoothly such as colors, layouts, page builder, typography & lots more. Some other must have elements included such as related post in grid style, threaded comments, social buttons etc. The featured section lets you display contents that on you want to get notified most. Seo is the most & most important area for every single website & this theme has coded seo in mind while developing. Display your menu items smartly by using the off-canvas menu system which integrated especially for small device users. We all know that social plugins slow down our sites but you don’t need to install any kind of plugin for integrating social platform because this theme has built-in all major social platform integration. Shortcodes are very convenient tools for putting various contents into posts/pages & that’s the reason this theme comes with tons of useful shortcodes which through you can implement most usable things into your web pages such as columns, buttons, tabs, accordion, toggle, notification bar & lots more. Life Coach comes with beautiful & modern design. It has homepage featured area where you will be able to display your featured content. A carousel slider added in the featured section for displaying most important contents nicely. It’s beautiful typography & unique hover effects can easily attract your visitor’s attention. It has responsive design & retina ready display. Do you need an elegant, clean yet professional designed magazine theme for WordPress sites? Santiago theme is for you then. It has very clean & beautiful typography which lets you build a complete modern magazine site. It has unlimited color schemes so you can select the color you like most for your project. You also can set unique sidebar for displaying unique contents for each posts/pages. 12+ custom widgets included which you can use in the sidebar & footer area. All the widgets were developed especially magazine site in mind. The homepage of this theme is fully wedgetized, it means you can implement as many as featured block content you need with drag & drop experience. Santiago built with html5, css3 & latest jQuery effects which made this theme more attractive. The unique hover effects looks really nice. Some useful custom templates included such as contact, 404 page, archive page etc. Demo data is packed with this theme so you can install the theme exactly like the demo & can edit those according to your further requirements. Santiago is fully multilingual, WPML perfectly compatible. Build a stunning magazine blog with SteadyIncome WordPress theme. This theme is perfectly suitable for bloggers, internet marketers & entrepreneurs. SteadyIncome packed with powerful tools that can boost your earnings such as powerful subscription, ad optimization, featured content section etc. Its responsive design will give you the ability to catch small device users. Your site will look amazing in any kind of devices for the responsive layout technology. Beautifully integrated social media buttons can increase your social followers. You can display your partner or clients logo in a modern carousel view. In the smartly designed footer section you can display your recently posted articles & subscription form. The blog section has clean & modern design. Each post details page have beautifully designed subscription form with name & email. This will definitely increase your email subscription which you can use for future email marketing & getting more selling. 10+ custom widgets included such as tabbed, recent/popular posts, author information, social widget etc. This theme is fully integrated with adsense so if you are an adsense publisher then you can get most of the benefit by using this theme. The schema is perfectly included for getting notified in search engine search result with Google rich snippets. WP mega menu pro plugin packed with this theme which is a $39 worthy premium plugin that lets you showcase your menus in some modern ways. SteadyIncome has advance typography option, 650+ Google fonts are included along with 519+ font-awesome retina ready icon fonts. Start rating system available for publishing reviews beautifully. Unlimited colors & unlimited backgrounds lets you choose your own color combination for presenting your magazine uniquely. Child theme included it means that you will never lose any features & styles after upgrading your theme. If you want to run a non-english or multilingual site then you are most welcome to do that because this theme is fully compatible with the most popular multilingual plugin WPML. You can turn your website into any kind of languages easily. Piemont is an excellent WP theme which can be used for creating any kind of personal blog, blogging, newspaper, magazine etc sites. This theme has huge advance & rich full features that can perfectly full fill your all requirements especially for magazine purpose. It’s a clean, elegant, aesthetic WordPress responsive theme which comes with unlimited blog styles, over 20+ header layouts which is really powerful, has 5 different blog listing templates, 11 pre-defined color schemes with unlimited color possibilities. With Piemont you can create unlimited homepage layouts with ease. It is fully compatible with WooCommerce plugin means you can build an online store for selling your products/services directly from your site. Post slider included for implementing in homepages with 4 different styles with unlimited possibilities. 9 awesome useful WordPress plugin included with this theme for taking your project to the next level. 20+ footer styles available to choose from. Custom widgets, mailchimp integration, lightbox & lightbox gallery, sticky menu, 650+ Google fonts & lots more features were included. The advance theme option panel will lets you setup all the options without touching a single line of code. Piemont uses html5 markups & amazing css3 & jQuery technologies which made this theme more beautiful. Max Mag comes with some great features & functionalities which definitely helps you to build your desire magazine website. It adjusts automatically in any devices because Max Mag theme designed with responsive technology. All the pages will look sharp & very clean in retina ready devices. This theme included with Theia slider which gives you to implement dynamic sliders in posts/pages. This theme has integrated with 5 different add units so you can get most expose & earn money by promoting products, services & advertisements. 15 most usable custom widgets included such as tabbed widgets for recent posts / popular posts / recent comments, social widgets etc. 2 navigation system included for displaying menus. Fly-out off-canvas menu available for smartphone users. Not only that, Max Mag news theme also packed with some other great features which are: threaded comments, built-in google analytics, news ticker, enable/disable author box, enable/disable featured image & much more. If you are looking for a Magazine theme for not only publishing articles, reviews etc also want to sell your products or services then MoneyFlow can be best choice. MoneyFlow comes with WooCommerce integration which lets you sell anything you want very smoothly. All the shop pages were designed professionally. You can showcase your products & services just like an e-commerce website by using this awesome news WordPress theme. It’s awesome, eye-catchy & responsive design lets you create a stunning magazine blog. It designed search engine optimization in mind so you don’t need to worry about your seo. All the structure of this theme has perfectly coded according to the search engine recommendation. It comes with fullscreen slider & featured content section it means that you can display your featured contents such a modern way. WP mega menu is fully compatible which through you will be able to display your menu items beautifully. Not only that, the subscriber pro plugin helps you to collection emails easily which is also included with this theme. The $39 worthy premium plugin review pro packed with this theme which lets you write reviews amazingly. Some other important features of this awesome news theme available such as font-awesome icon fonts, Google fonts available, off-canvas menu for mobile & other small devices, ajax search result page, ajax category filter, powerful them option, tons of shortcode elements, author bio, unlimited color schemes, unlimited backgrounds, advance typography, RTL support, completely multilingual & much much more. This is a fantastically designed modern theme which can be used for magazine & newspaper purpose. It comes with 4 different news slider which through you will be able display your featured news or contents beautifully. Megazine packed with premium Visual Composer worth $33 which lets you create pages with drag & drop experience. Lots of custom widgets were included for displaying most usable contents especially for magazine & blog websites. Multiple style content block included with ajax functionality. It’s fully responsive & will display fantastically in most of the screens. Multiple slider plugin were integrated with Megazine theme which are Flex slider, camera slider etc. Not only that, PrettyPhoto gallery also available for displaying images in pop-up gallery. Unlimited color schemes available for choosing your own color scheme. All major browsers are compatible. The most popular Redux theme option frameworks used to create theme option settings. You can change every option settings with ease. It’s an excellent modern WordPress newspaper theme which comes with WooCommerce integration. It means that you can create your own online shop easily by using that extension. It has fly-out off-canvas navigation menu for smartphones. Has fully responsive layouts which means your page adapts automatically in all devices including smartphones. Hot Topix included $22 worthy Thiea slider plugin for implementing dynamic sliders into posts/pages, bbPress is fully compatible for integrating forum functionality. Not only that, the unlimited color functionality lets you choose your desire color combination. You can build your own style homepage with the drag & drop homepage builder option. 10+ custom widgets are included for putting useful contents in the sidebar & widgets areas. This theme designed with html5 / css3 technology & has full seo friendly code. A newsticker also included for keeping your visitors up-to-date about hot topics.